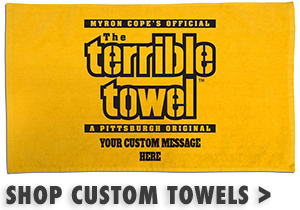 Terrify the competition this Halloween with a new limited-edition Steelers “Terri-Boo” Towel. 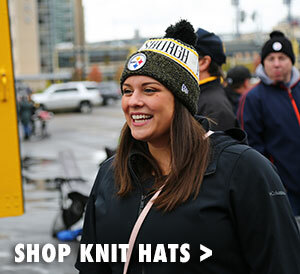 Designed specifically for the Steelers Store, Myron Cope’s famous Terrible Towel has been given a spooky holiday makeover that features spiders, bats, cobwebs and a line of scowling Jack-O-Lanterns - now larger and in full color! 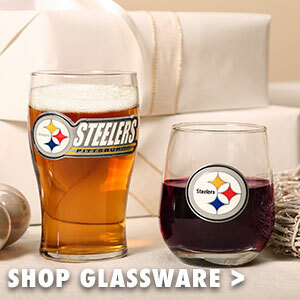 Wave it around during October games at Heinz field and show the opposing team that the scariest thing they’ll see all season is a stadium packed with 65,00 screaming Steelers fans. 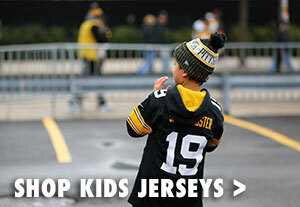 Get yours today only at the Official Steelers Online Store.